It started with skeins of yarn. 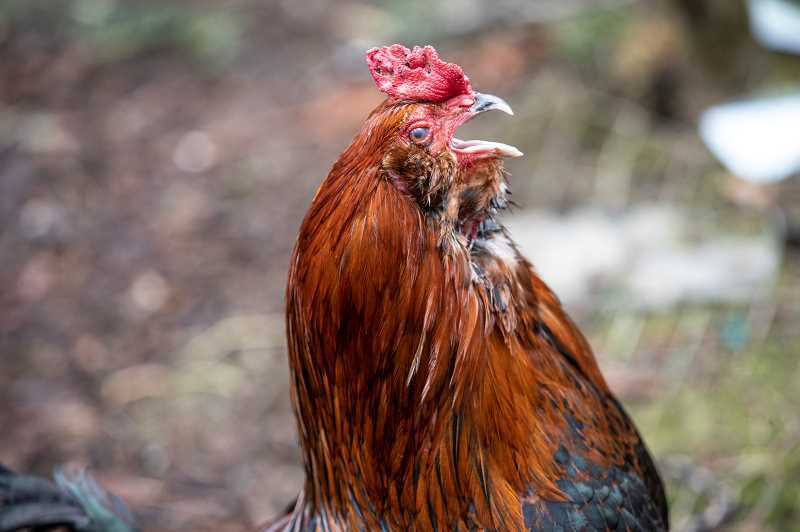 About five years ago, when a woman visited West Linn resident Tony Cantine's property along the Tualatin River to purchase yarn, Cantine introduced her to the chickens and goat that lived in an outdoor enclosure. "She saw how I was," Cantine said. "It's not fake, it's not silliness — it's a sincere love of other animals." As it happened, the yarn buyer had also been searching for an animal lover. "She said her granddaughter had been in 4H, and wasn't going to do that anymore — would I please take her bunny?" Cantine said. So she did, and over the years Cantine's property has evolved into a haven for non-native rabbits that wouldn't be able to survive in the wild. Take the large and brown ball of fur named — rather fittingly — Alexander the Great, for example. "He was out running in the park — (a resident) captured him and brought him to me," Cantine said. "The breed is called a 'rex.' They were originally raised for eating ... but for me he's my pet, and I love him as much as possible." Cantine suspected that Alexander had escaped from a prior home, and took him in because she knew it would be difficult for him to survive in the wild. "You don't catch those native bunnies," said Cantine, who described native rabbits as having an earth brown coloring and much smaller frame. "It's just like catching a native rat or possum." 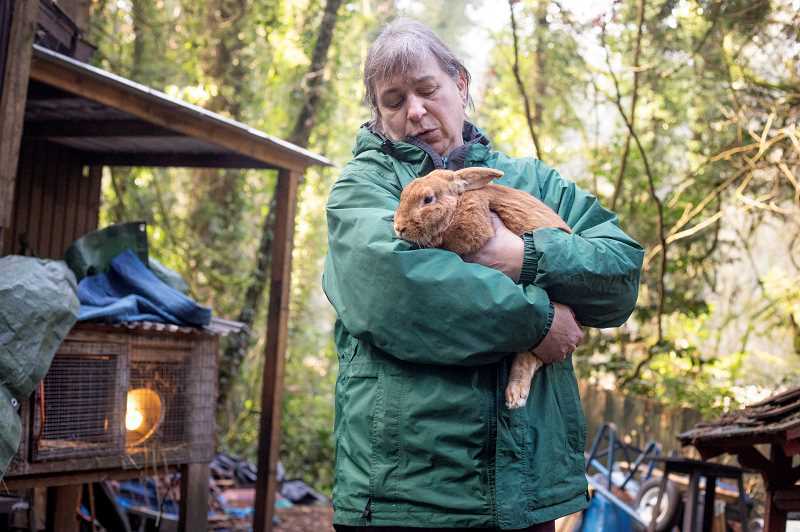 Much of Cantine's rescue work begins on the Nextdoor website, and in a recent post she described the dangers of outdoor life for non-native rabbits. 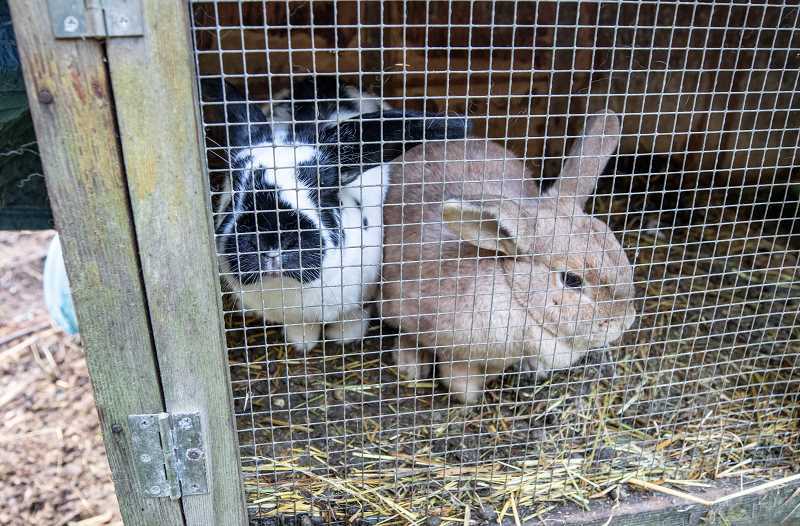 "(Native species) can withstand our cold, wet weather while domestic bunnies prefer temperatures over 72," she wrote. "If a non-native rabbit is not used to the cold and gets cold, wet and has wind blow on him or her, it could result in respiratory illness." 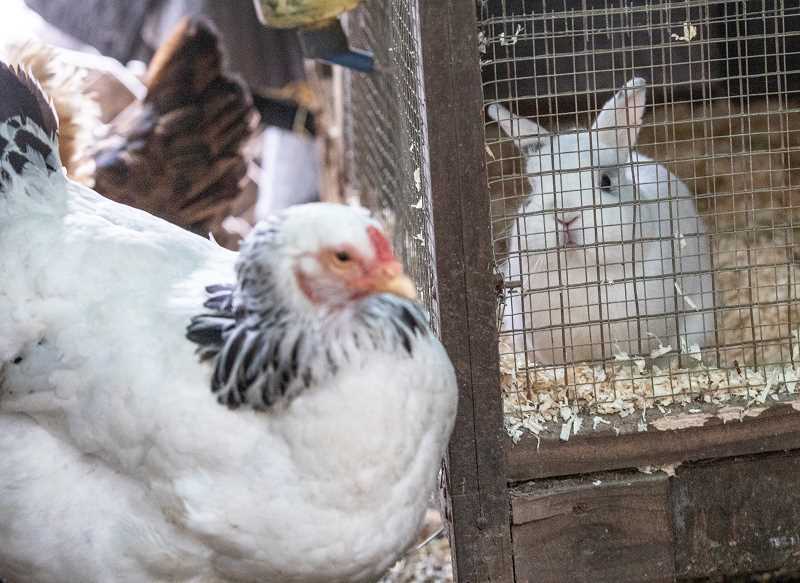 Cantine currently has more than a dozen rabbits, along with goats, chickens, roosters and even a peahen. "The peahen came from the roof of someone's house," she said. Cantine occasionally hosts tours of her property, which bustles with life next to the roar of the Tualatin River. She's lived on the property since her parents bought it in the 1940s. "Everything on our farm was built out of recycled materials or leftovers," Cantine said. "We had to buy the screws and a few other little bits and pieces, but for the most part it's recycled or reused or leftovers." Around 15 years ago, Cantine underwent a surgical procedure and was told to rest for two weeks. But instead of lying in bed, she sat on a bench she'd installed next to the river. It took just three days for her to feel fully recovered, mystifying her doctor. "Just sitting there — the rushing water and the earth — it was so healing. Just marvelous," Cantine said. "This is something we miss in the rat race of life. "It would be nice to have more money, but I have animals."